Faith Lutheran College, Redlands, has built a strong reputation in the Redlands for its caring, Christian and community-minded approach to education. The college’s key goal is to prepare its students for life, and this is reflected in everything Faith does, with students encouraged to be caring and community-minded members of society. Students are given many opportunities to make a real difference in the Redlands, as well as through key school projects that allow children to offer state and international aid to communities in need. The strong academic focus is enhanced by a supportive Christian environment. This approach is one that is consistent in Lutheran schools across Australia, earning them an excellent reputation for enhancing student outcomes. Faith offers a broad range of academic experiences and subjects, including Vocational Education and Training (VET) and flexible learning pathways, plus the latest in computing and technology. Students are acknowledged and treated as individuals and it is this tailored teaching approach that continues to give each child the educational opportunities they need to reach their full potential. While encouraging students to excel academically, Faith also has a deep commitment to developing and broadening their leadership skills through a range of programs and educational opportunities. Faith’s music and arts program gives students every opportunity to develop their passion, and as a result the college has made a name for itself in producing talented musicians, actors and artists. 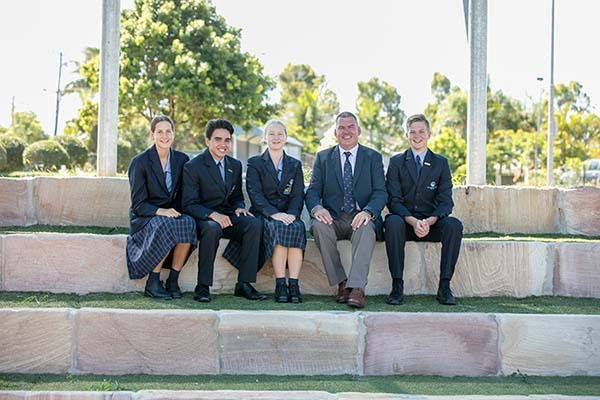 Faith prides itself on offering students a wide range of sports — from rugby union, netball, soccer and tennis, to volleyball, softball, cricket, basketball and AFL. As a member of The Associated Schools (TAS), students also have the chance to compete against other colleges in their chosen sports. These programs have seen Faith students selected for the Brisbane Lions Academy, the Australian Institute of Sport’s AFL Academy, the Australian Ballet and represent the nation in the World Robotics Championships. Faith has grown significantly since it opened its doors in 1982, and offers a junior, middle and senior school, housed across two extensive campuses in the Redlands. Visit our website for further information, www.faithlutheran.qld.edu.au.